Personalised children wall stickers. A simple design of a car where the exhaust blows out the name of your child. 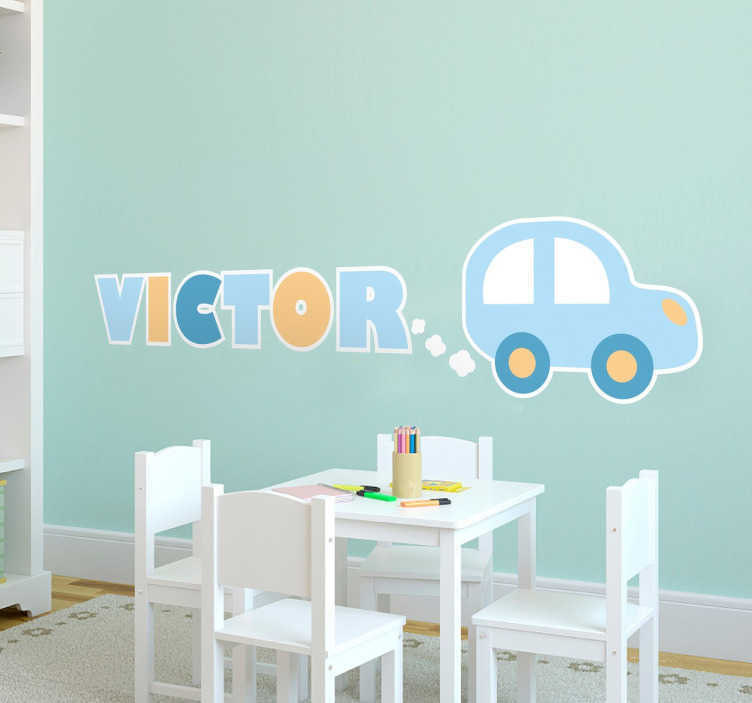 From our collection of kid´s custom name stickers, the children´s bedroom sticker will make their room feel personal to them and will create a fun and exciting atmosphere. The kid´s car sticker is perfect for you little one if they love cars! Just remember to enter the name of your choice into the text box! Our kids nursery stickers are easy to apply and leave no residue upon removal.